Daniel Bouland is a great producer of old-fashioned Morgon. 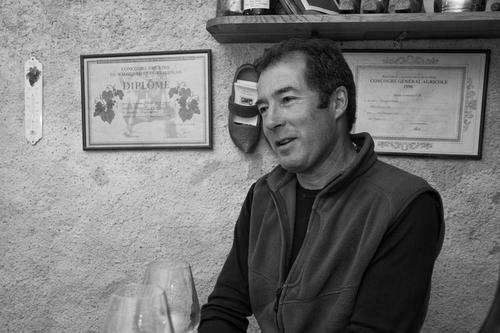 From less than 7 hectares of old vines in the Douby, Côte de Py, and Delys, lieux of Morgon, plus small parcels in Chiroubles and Cote de Brouilly, he makes wines that can age 20 years, and are comparable to fine Côte de Nuits Burgundies. His Corcellette Morgon vineyard is 60-75 year old vines. De Lys (between Corcellette and Ville Morgon) was planted in 1926. In 2014 he acquired another old vines parcel - Bellevue, on schiste and granite. All his grapes are hand-harvested and vinified with full clusters in order to extract all the organoleptic qualities, and bottled unfiltered.